Heather felt secure with herself and her career path, until a cancer diagnosis was thrown into her life. After beating cancer, a shift in perspective changed the goals she once set for herself and her career, and affected her ability to secure a job. When it came to my career, I had it all figured out- or so I thought. I was driven and dedicated. It was hard to find an employee as pushed as I was. At the age of 20 I knew that a career in social work would be my life's work, and so it was. I finished my Bachelors in Social Science then Masters in Social Work. When I was diagnosed with breast cancer at 32, I had already been in the field for twelve years. I climbed the ladder and went from working with grassroots organizations to working for the government. My professional goals were carefully planned out and detailed. They ranged from goals I wanted to reach in one year, to five, to ten. After my treatment was finished, I returned to focusing on my career. Except this time around, things had shifted. I knew it would take some time to get my spark back so I kept running the proverbial race, but I felt lost. I knew I chose this career field to help others, but I couldn't help questioning everything at work, and my career choice in general. Big questions haunted me like never before. Questions like, "Was I really making a difference as a social worker? Should I choose a different profession? Why were there so many people suffering from poverty, illness, etc.?" Instead of feeling invigorated that I had my life back and had cancer beat, I felt like I was making little impact in my career. Fast forward to the present day. It's been two years, and I haven't found employment in my career field. I was recently interviewed for a government job. During the job interview I was asked, "Where do you see yourself in 10 years?" and froze. I knew this would have been an easy question to answer before I was diagnosed with cancer. All that crossed my mind was that I just wanted to be alive for the next 10 years. I knew this would not be an appropriate response. After a pregnant pause, I answered, "Continue helping my husband with his business, volunteering in mental health, and continue living here in Missouri." When I finished speaking I imagined they were probably underwhelmed at my response. Needless to say I did not get the position, which I attribute in part to the "simplicity" of my 10 year goal. Regardless, I have to say that I love its simplicity. It just means that everything meaningful is in the forefront of my mind and present day professional goals are the most important to me. I want to live for THIS moment. I now understand that is all I have and all I ever had. Cancer gave me that perspective. I sometimes thank God for being sick because it brought me down to the nitty gritty not only of my career, but of my life, and forever pushed away any superficial "goals" I thought I had to fulfill. 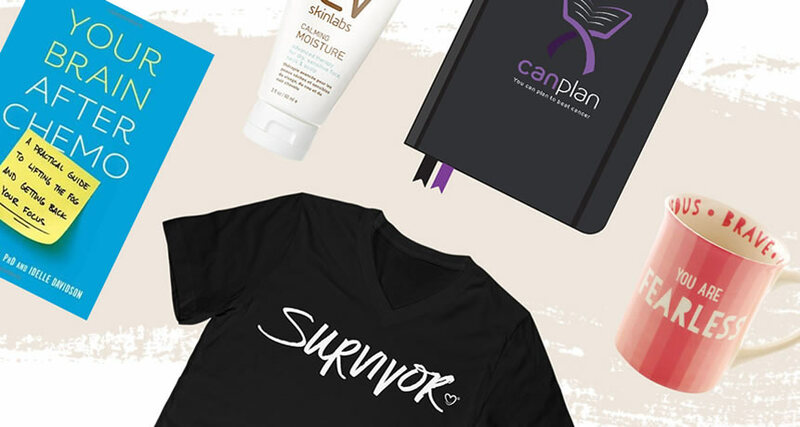 Navigating the workforce after having cancer is hard and intimidating, but I won't give up. I am still the same driven young woman as before, just now with different professional goals and a new perspective on life. Heather McDonnell is a writer, social worker and advocate. This year she celebrates five years as a cancer survivor with her husband and co-survivor, Joe. You can find her on IHC under the username gladtobealive34.